Tom Brady Needs To “Man Up”! | "IT'S A STEELERS WORLD"! Tom Brady Needs To “Man Up”! Why is it that when anything dealing with the New England Patriots continuously gets strung along throughout the media for months on end? And why is it when any scandal involving one of the teams players that none of them are able to be a man, come out and admit guilt? Patriots quarterback, Tom Brady was caught flat out being deceitful in the Deflategate investigation, destroying a cell phone that he had been asked by NFL Commissioner, Roger Goodell had asked to be turned over to investigator Ted Wells. 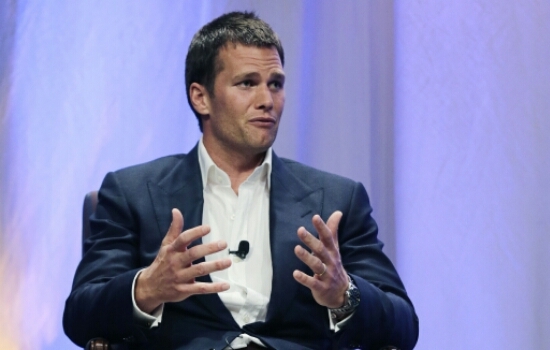 Goodell cited new evidence that emerged: On or shortly before March 6th, the day Brady was interviewed by Ted Wells and his investigative team, Brady instructed his assistant to destroy the cellphone he had been using since early November 2014, a period that included the AFC title game against the Colts and the initial weeks of the subsequent investigation. The NFL said in Tuesday’s statement that Brady destroyed the phone even though he was aware that investigators had requested access to text messages and other electronic information that had been stored on the phone. Seriously, what more do you need in order to admit guilt on themselves than destroying evidence? That action alone would prove guilt in any court or law, criminal or civil. And doing such a thing has put a twist of criminal element to the entire situation. Still Brady is not man enough to come out and admit any wrong doing, basically vowing this already drug out litigation even further in his statement he posted on his Facebook page earlier today. Lastly, I am overwhelmed and humbled by the support of family, friends and our fans who have supported me since the false accusations were made after the AFC Championship game. I look forward to the opportunity to resume playing with my teammates and winning more games for the New England Patriots”. Once again, a statement made on his Facebook page. Not to media in front of cameras where the public can see his reactions and facial expressions. But through a social media outlet where he most likely was not the author of such a statement. So my plead to you is this Tom Brady, admit your guilt, except your suspension and “Man Up” for once in your NFL career. Because dragging this on any further proves what every other team and fan besides the Patriots already know. That you and your organization are nothing but spoiled rotten Cheaters.